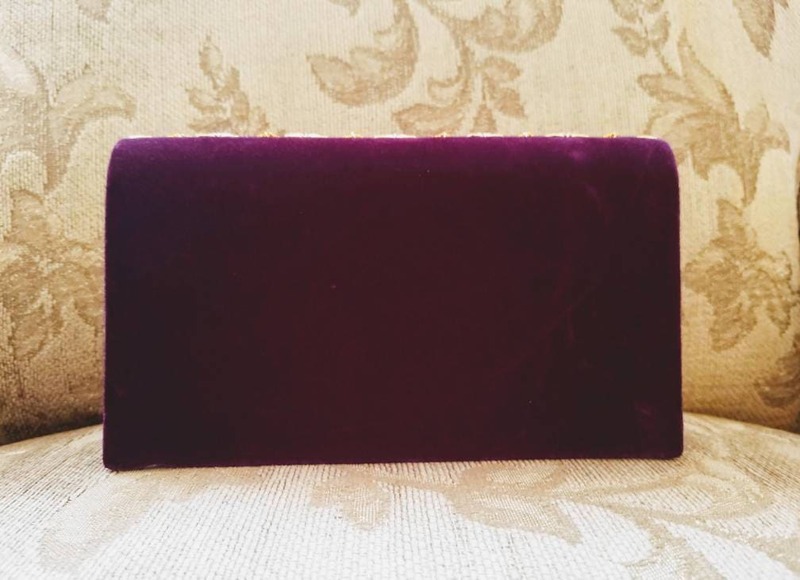 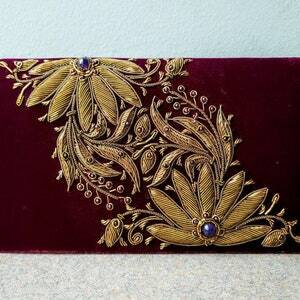 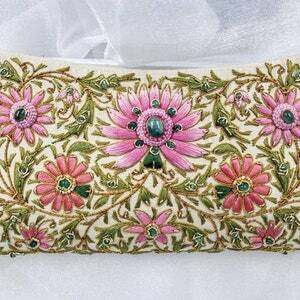 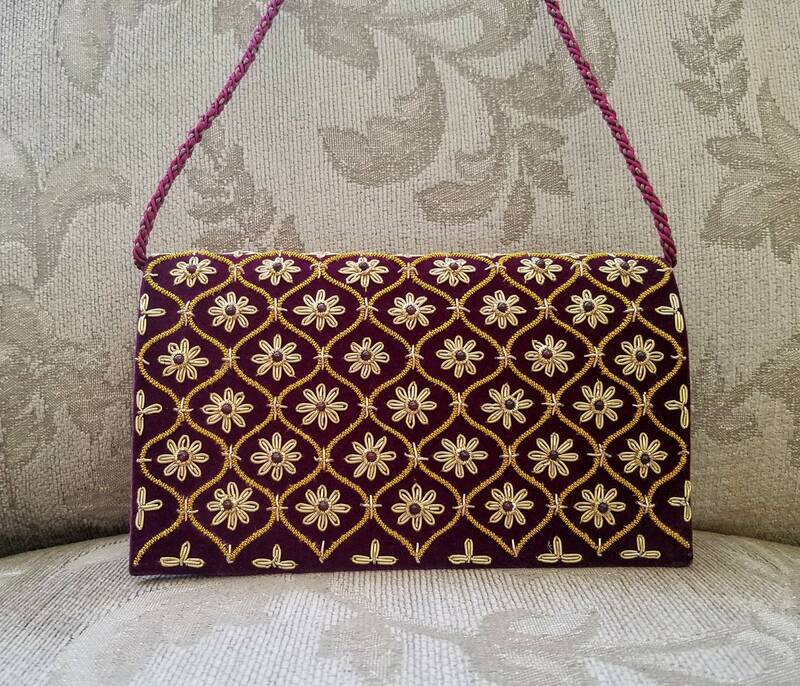 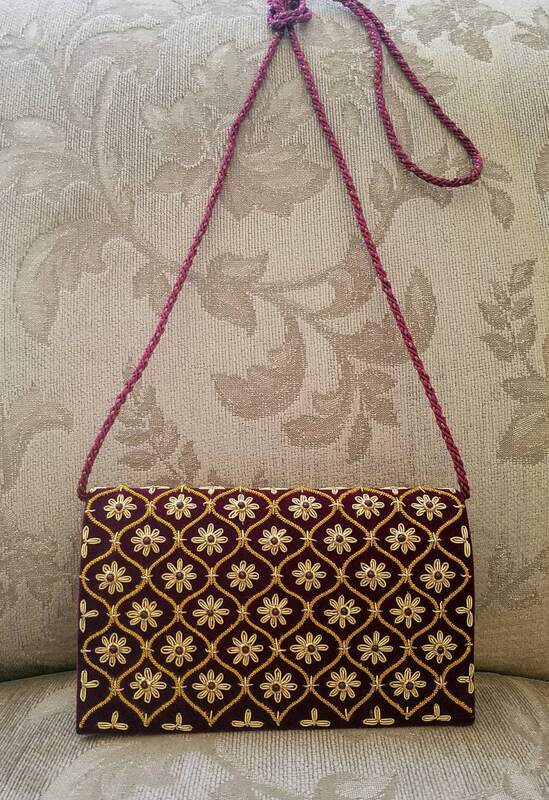 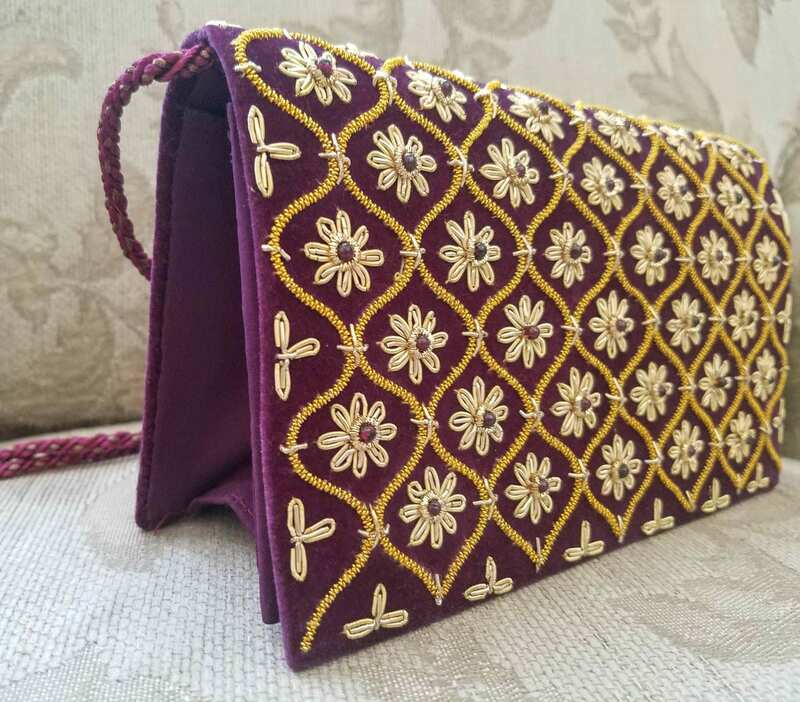 Stunning hand embroidered and hand made eggplant purple evening bag, using two tones of metallic gold color threads, in the zardozi tradition. 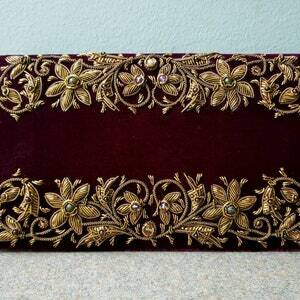 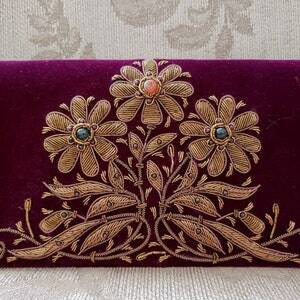 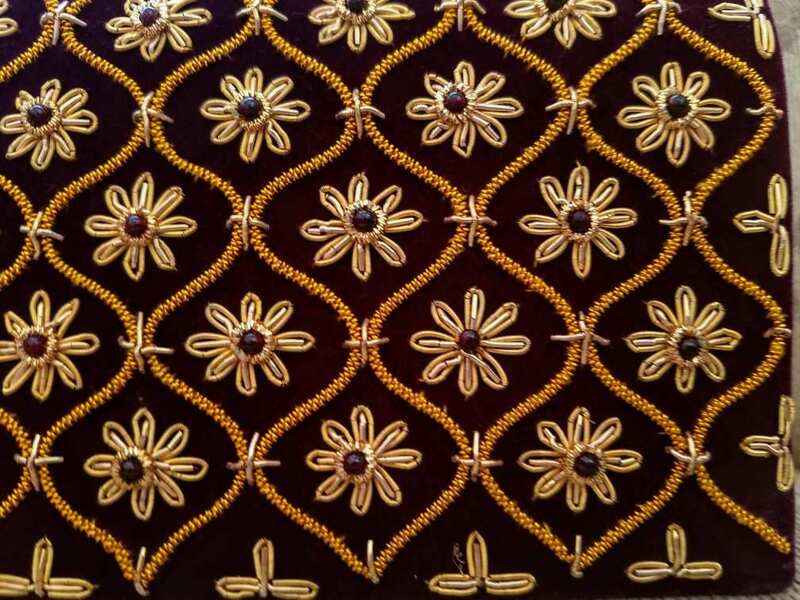 Genuine garnet beads sewn into the center of each flower, creating a 3D effect. 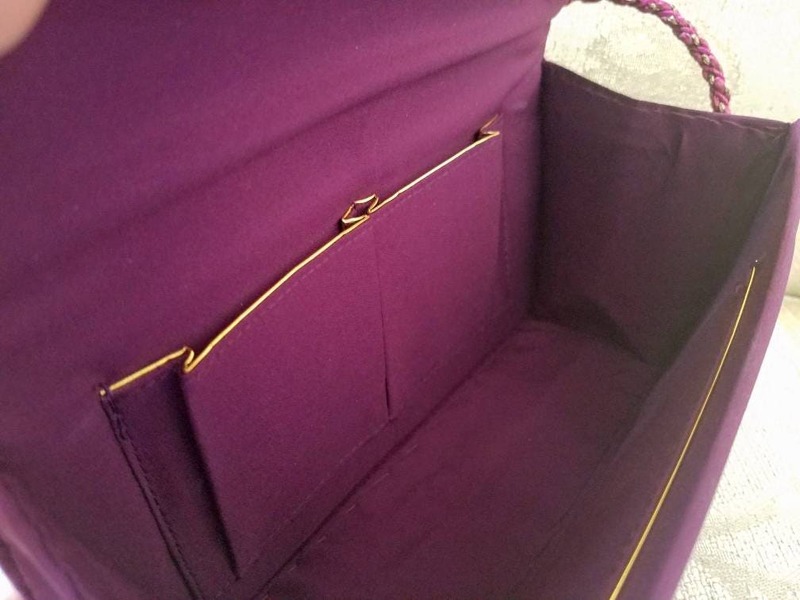 - braided purple and gold colored corded shoulder strap with 28 in drop, which can be tucked inside.